Welcome to our first Random giveaway! We will be selecting random items to pass along to 1 winner! Each giveaway will last 7 days. 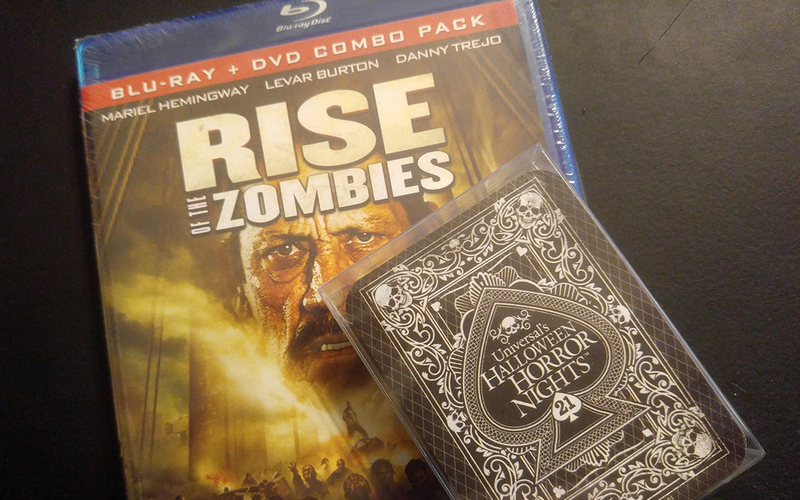 Our first random giveaway includes a deck of Halloween Horror Nights 21 playing cards and Rise of the Zombies on Blu-Ray/DVD combo!